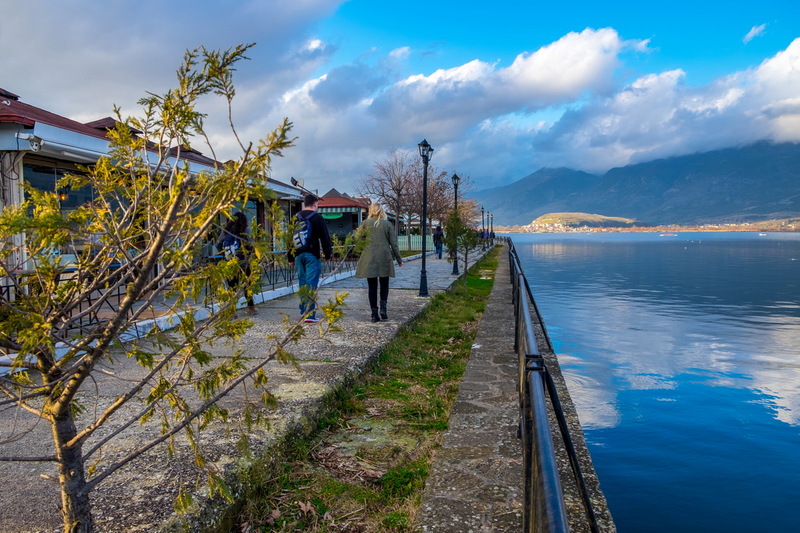 Every visit to Ioannina is a life experience, you'll never forget. 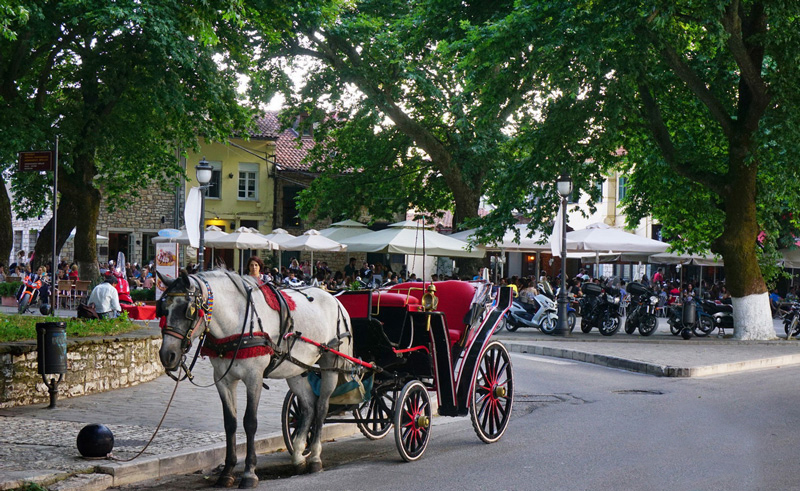 The unique combination of natural beauty, history, tradition and entertainment, a place full of sounds, tastes and odors tickles all your senses. Ioannina is a stunning, eye-catching place. You can never have enough pictures or videos of this. 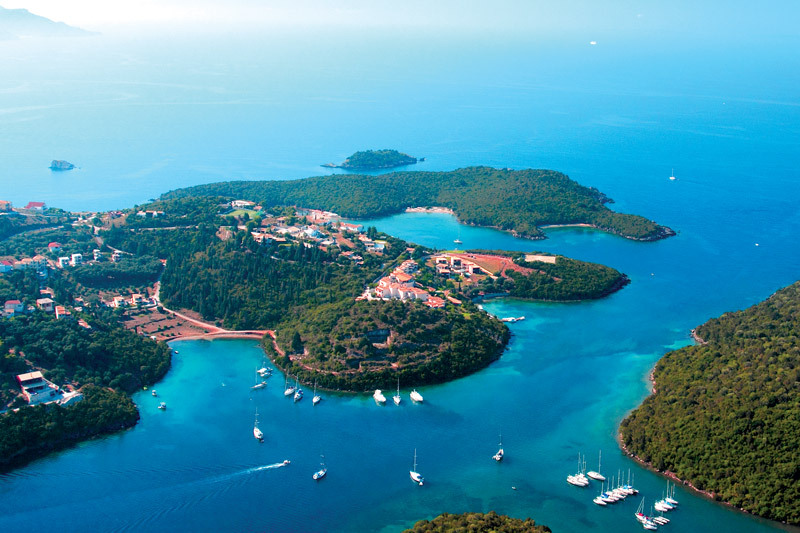 The city, the lake, the island and the mountains are part of a unique landscape, a feast to your eyes! 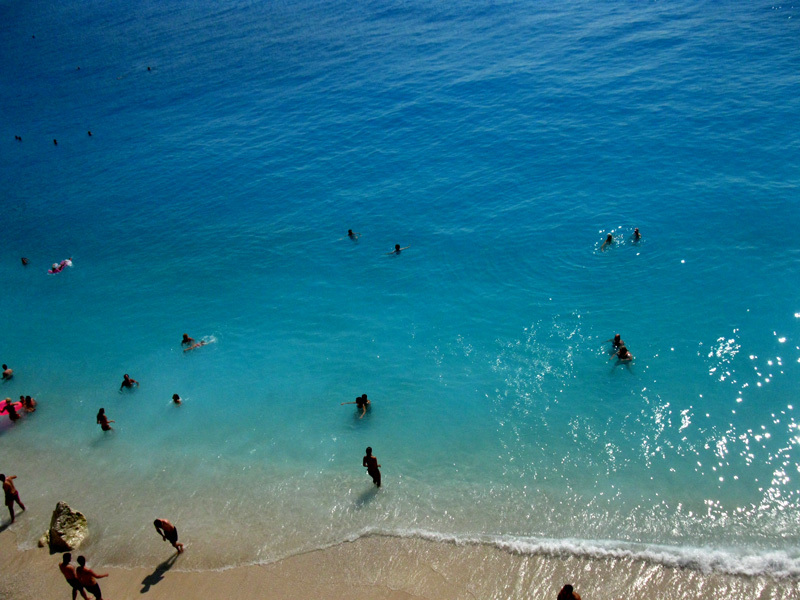 Blue is everywhere as a color and a sensation too. 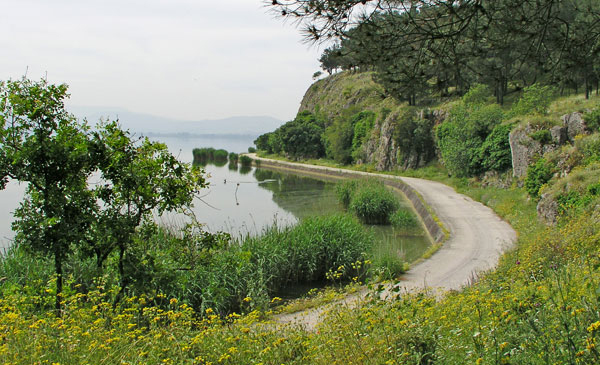 Look at the Lake Pamvotis! 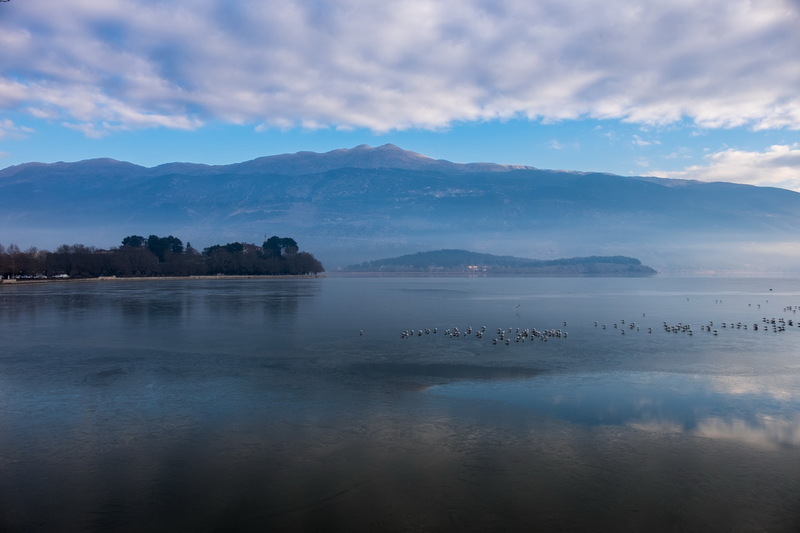 With the lake surface reflecting sky blue, the lake and the sky seem to be one and undivided. Add the reflection of the surrounding mountains in the lake and get the fairy tale. Landscape there is amazing, you won't believe it is true. You can now leave the lake and head to the mountains. You will experience a riot of colors, millions of them forever changing under the sun. The palette is endless, different in every season. The harder colors of autumn and winter are changing into the spring color explosion and the summer harmony under the sun. But there are many more stunning images that are not related to the nature but to human creation. 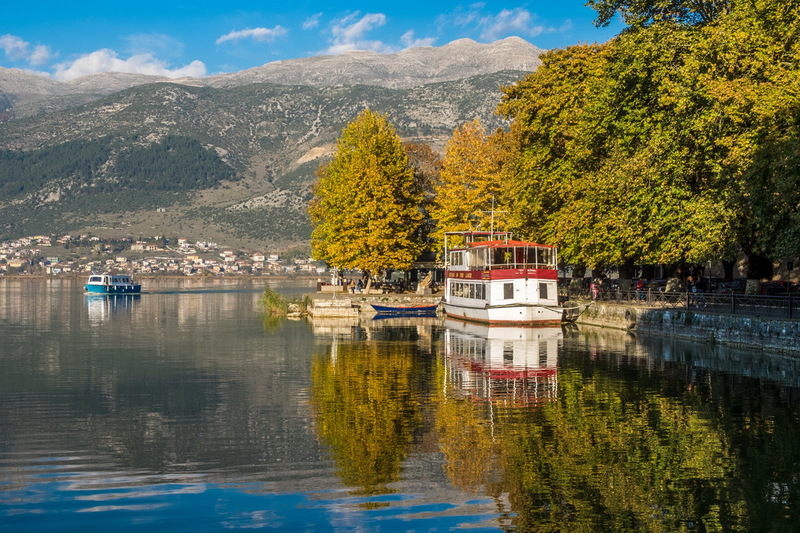 The beautiful town of Ioannina and its countless attractions, like museums, churches, caves and the great Ancient Theatre of Dodoni or the hospitable people of Ioannina. Beauty that never ends. 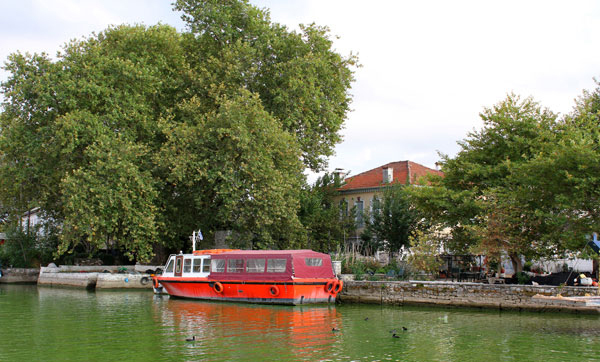 Sounds of nature harmoniously intermingle with the people talks and children laughs in the streets of Ioannina. 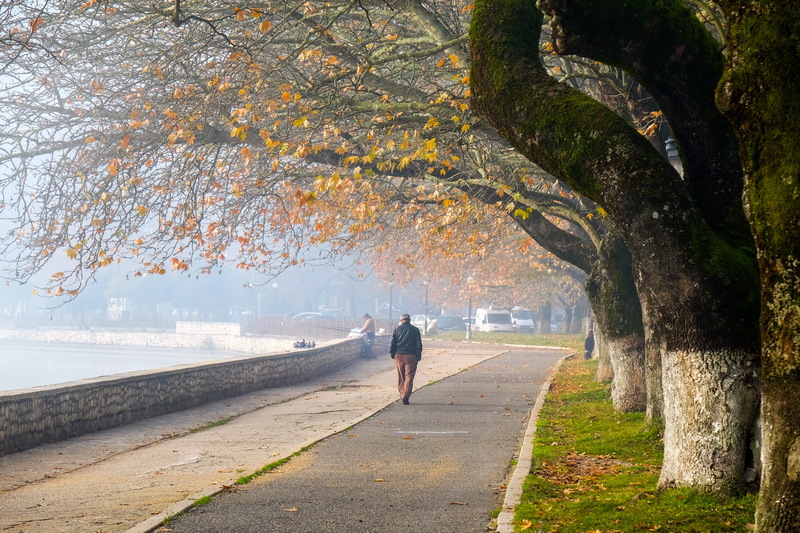 Take a quick tip for happiness: Make nature sounds a part of your day, like the people of Ioannina. 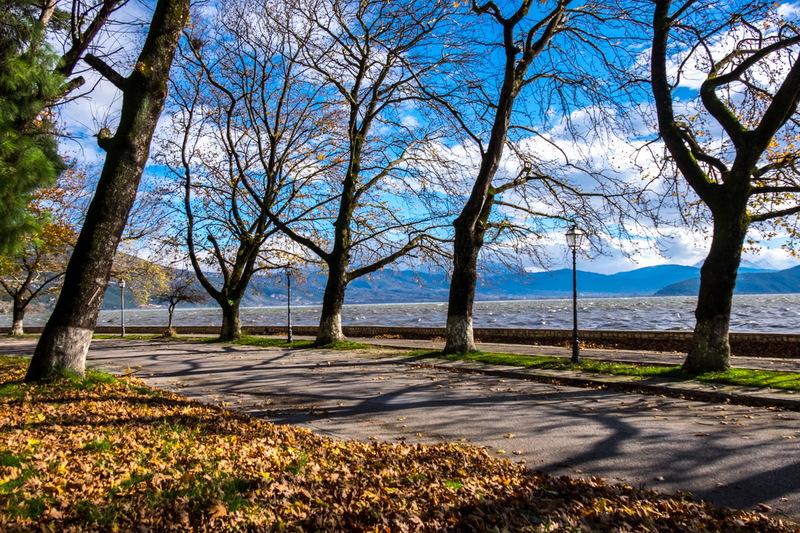 The leaves of the big lake trees rustle in the summer breeze. You can hear the running creek babbling in your autumn walk, even if you are miles away. 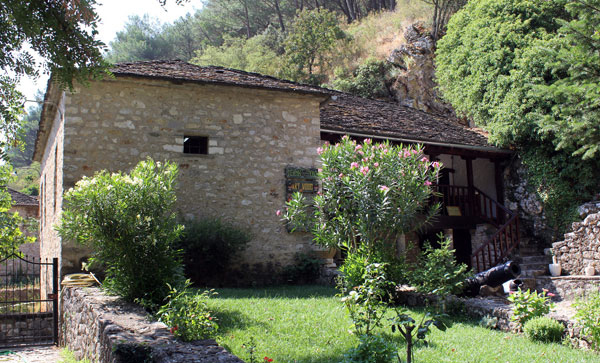 The river Aoos is roaring under a traditional stone bridge in Zagorohoria. 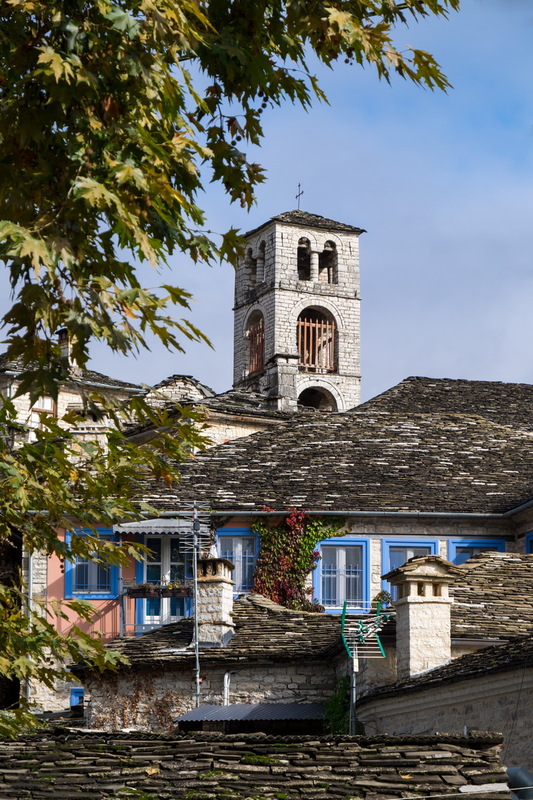 You can almost hear the sound of the snow under your boot in Metsovo ski resort or walking in a snowy cobble path towards the traditional square of a mountain village. 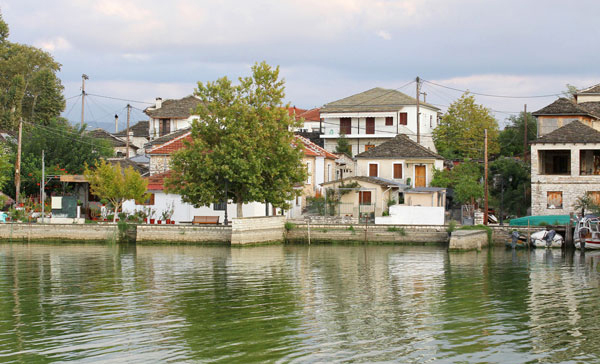 Let’s go back in the lively town of Ioannina, the home of 20.000 students. It’s a vibrant city that never sleeps. 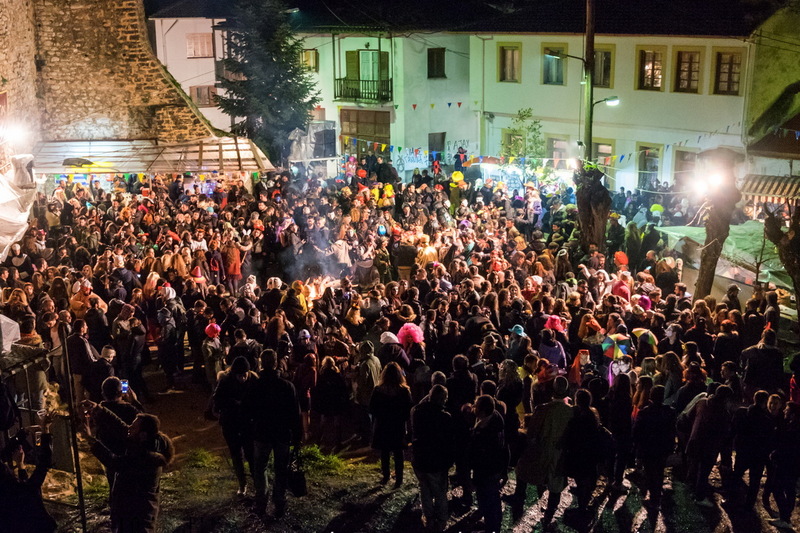 Walk in the cobbled streets of Ioannina and hear the heart of the city beating eternally, fueled by the students’ adrenaline and energy. Singing and dancing are intertwined, inseparable and a part of everyday life. Weddings, baptisms, celebrations and festivals come alive with singing and dancing. 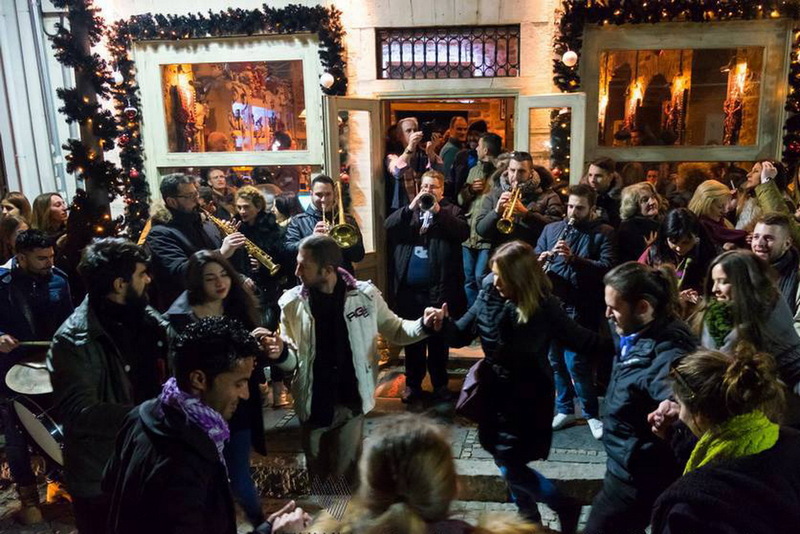 You hear wherever you go Greek folk songs that express joy and celebration in a festive mood. 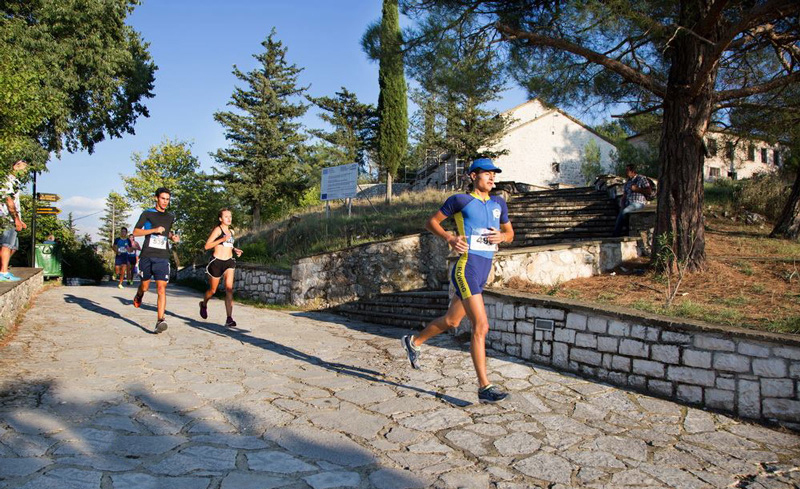 Just test the acoustics in the Ancient Theater of Dodoni and learn about the significance of sound in the Ancient Oracle, near the theater. You’ll talk for years about it! 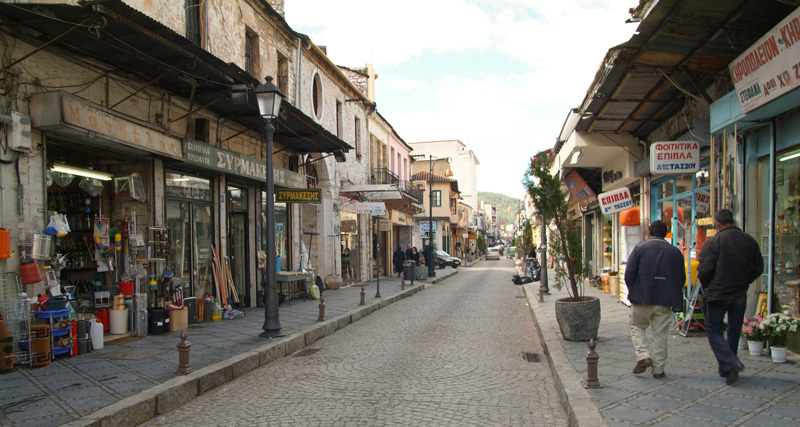 Ioannina is made by stone. 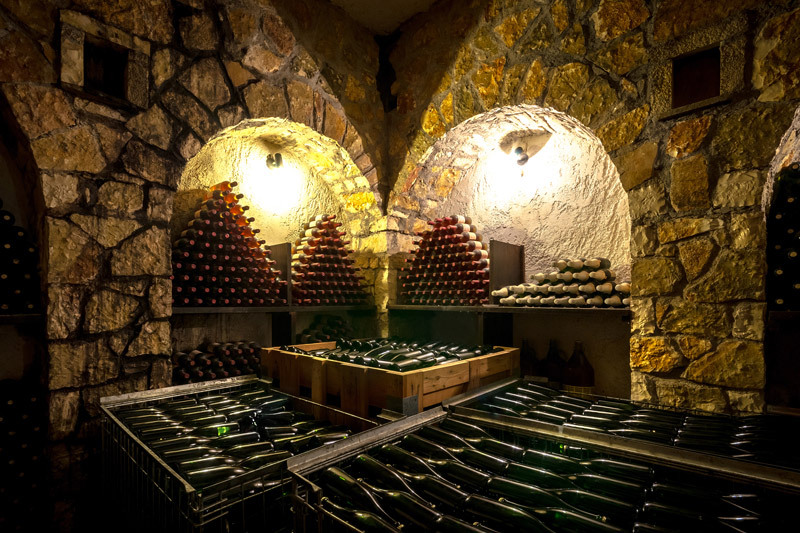 Stone is everywhere, either formed by nature or by humans. 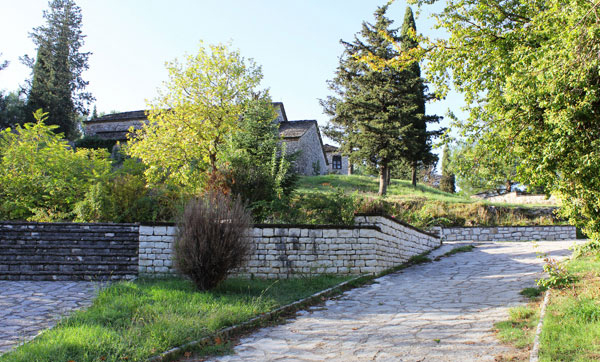 Bridges, houses, street roads, stairs, the Ancient Theater of Dodoni. Icy during the winter or hot in the summer, stone is a tool, an embellishment or even a barrier we have to overcome or conquer by… climbing it! 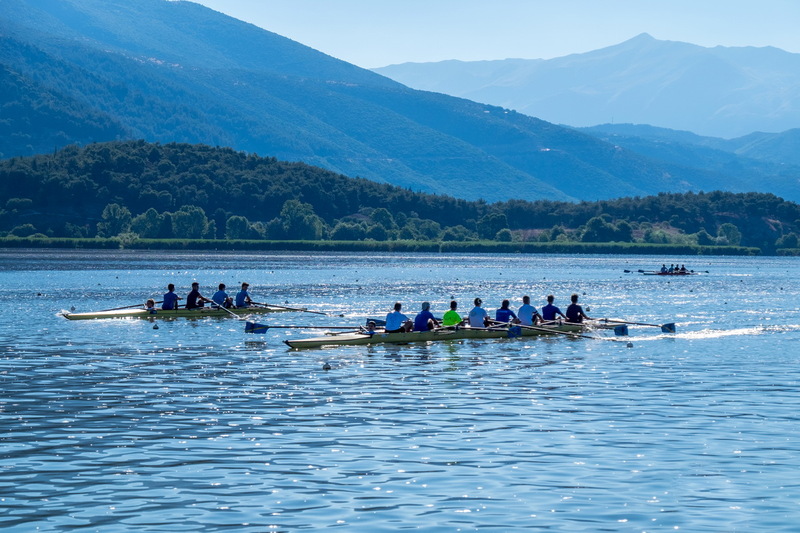 Another natural element found plenty in the land of Ioannina is water, thanks to the geomorphology of Epirus, that is characterized by severe mountainous terrain and the abundance of surface water. 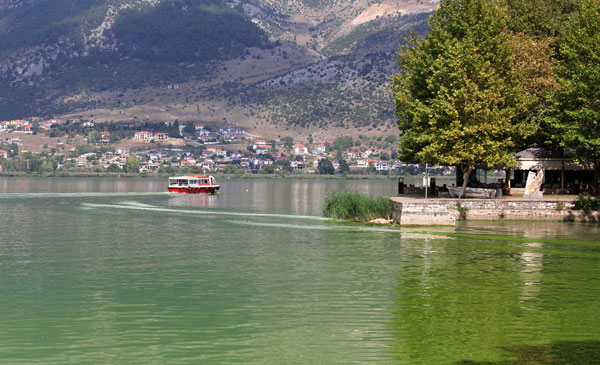 You should fell the water beneath your hands in Ioannina Lake or at the bank of one of the mountain rivers. If you want something more extreme, try a refreshing swim in the all-year-frozen waters of Kolimbithres. Not for the faint hearted! 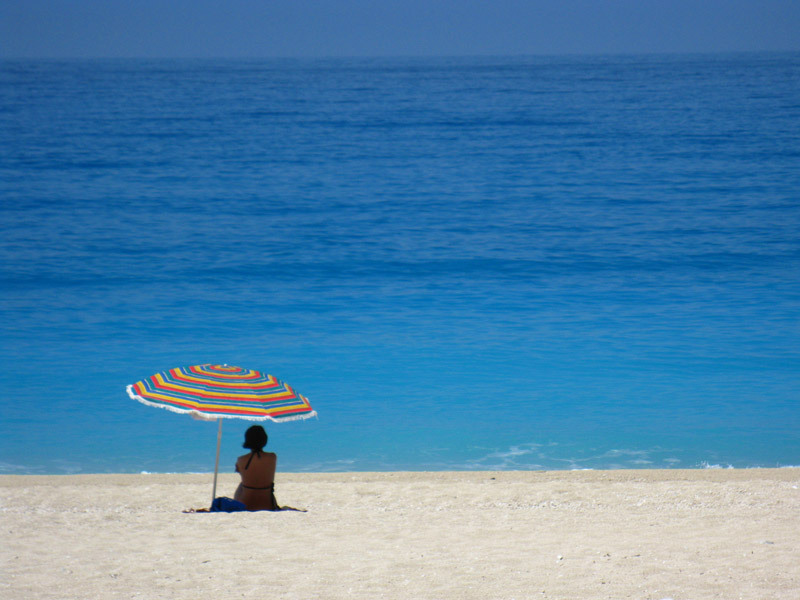 Don’t forget the miles of beaches at the deep blue Ionian Sea, quiet and secluded or bustling with activity. 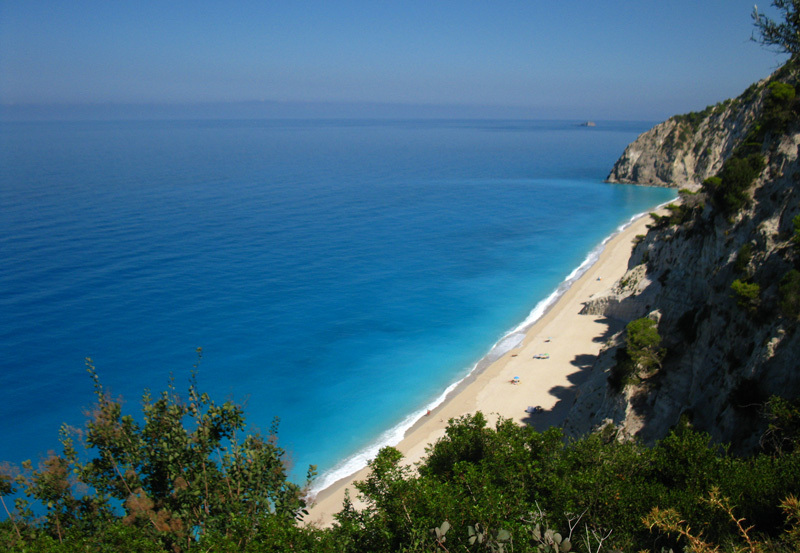 Feel free to play with the white sand, near the turquoise water and the sheer white cliffs. What a magical setting it is! 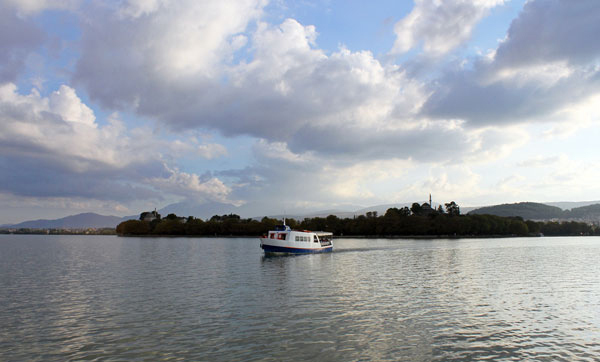 In the natural ecosystem of Ioannina you smell the scents of nature and you feel great! 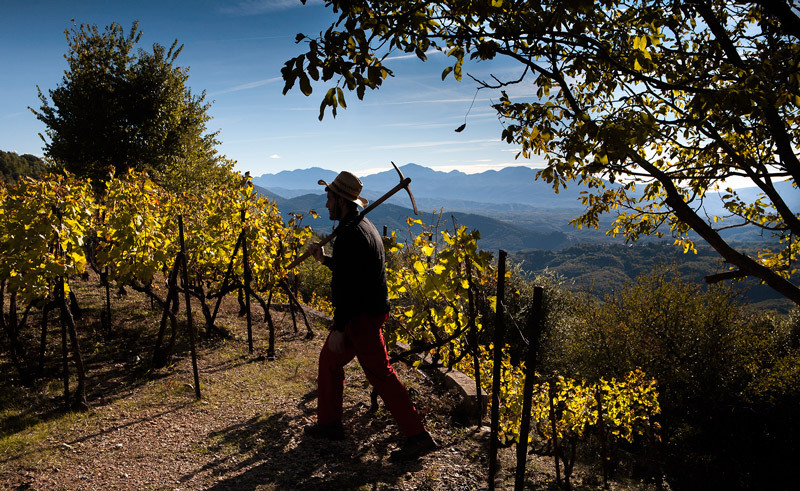 Smell the autumn leaves as the winter winds prevail to prepare earth for the spring and summer feast. 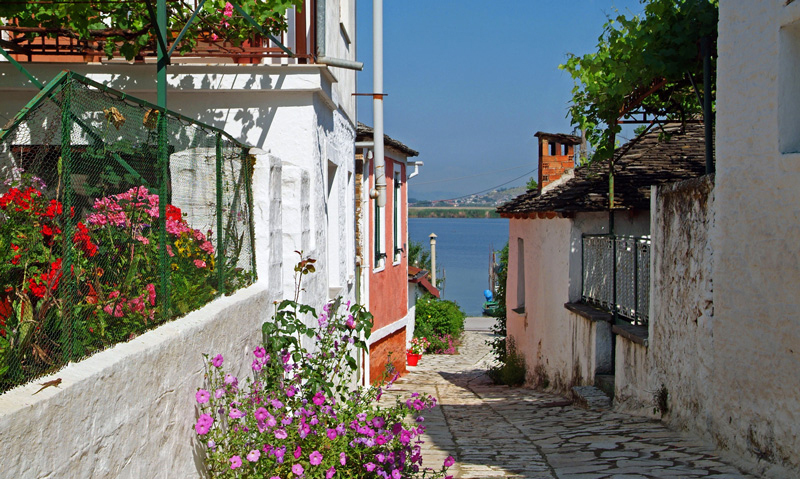 If you visit Zagorohoria, nature’s purity makes the aromas even brighter. Earth, leaves, trees, rivers, soil. 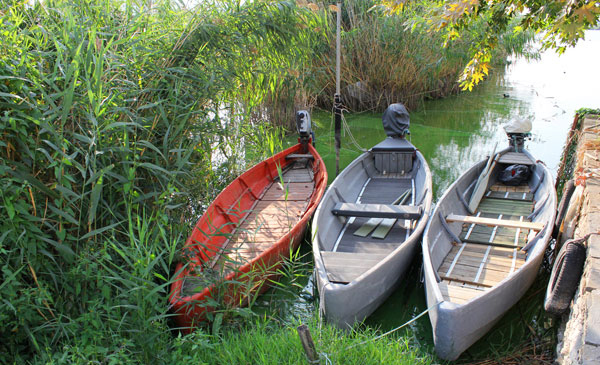 Take a quick return to Mother-Nature, away from everyday life thoughts, a redemptive, cleansing experience. Suddenly, while you enjoy the gentle fragrance of the forest flowers, you smell food cooking in a distance. 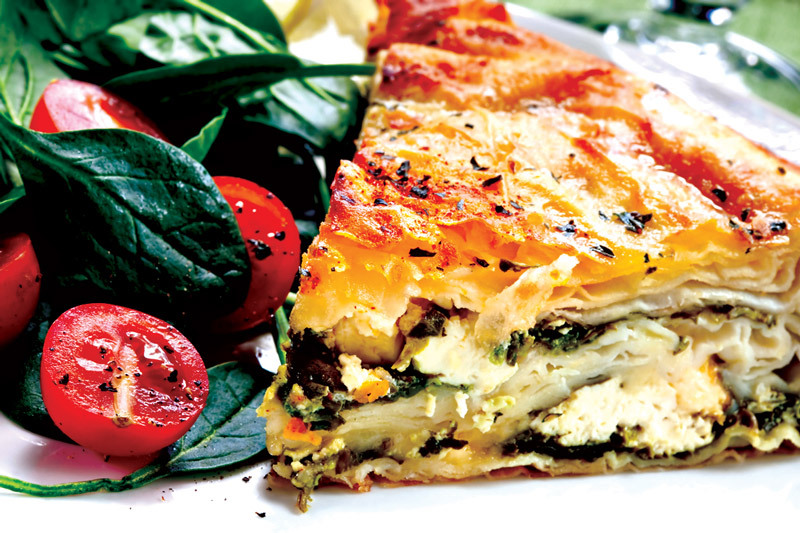 Somewhere near you a handmade, herb-flavored, cheese (or meat) pie is baked! You won’t stop yourself of having a second piece of it. Yummy! 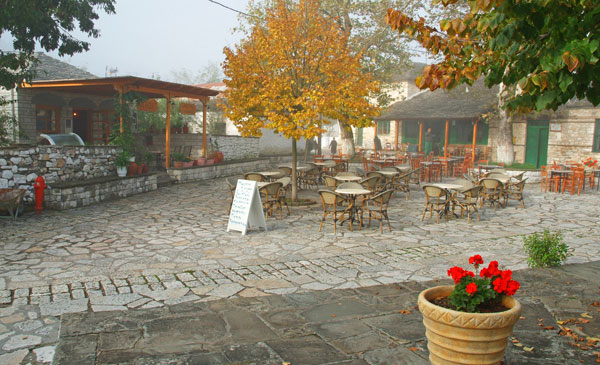 Epirus foods are the rademarked Mediterranean cuisine at its best. 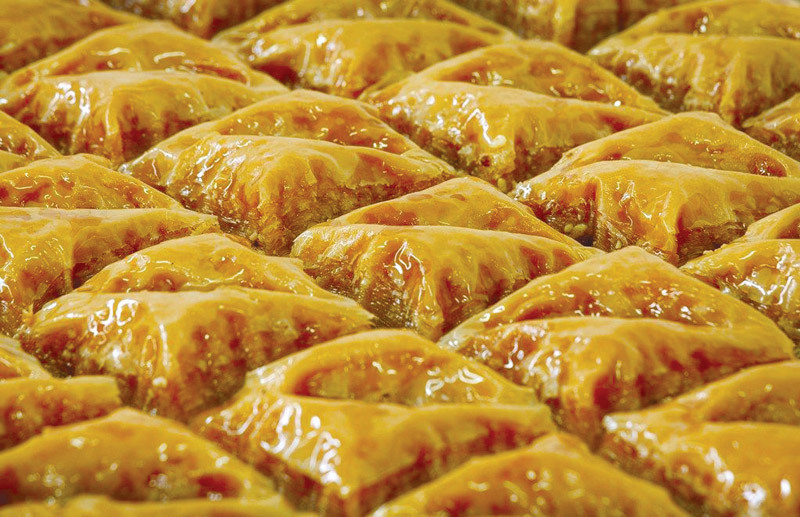 There is no one who will say no to a famous Epirus pie, or a mouthwatering Gianniotiko baklava sweet, full of syrup. 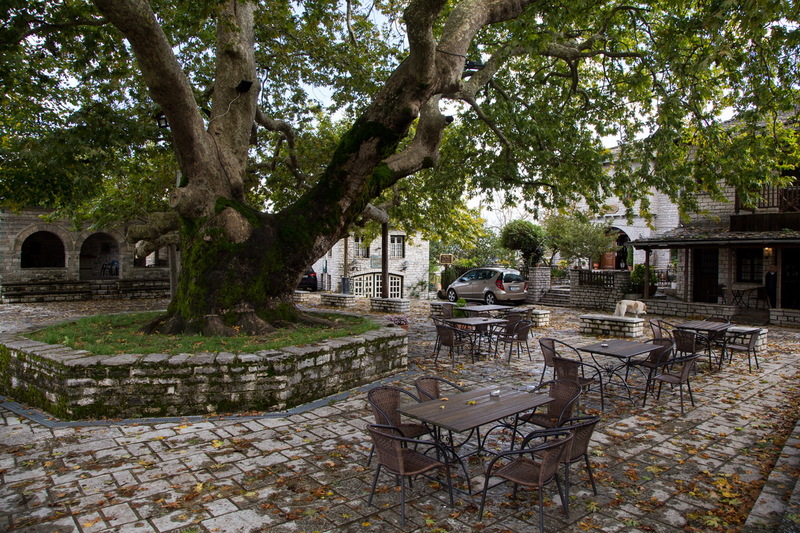 There are literally hundreds of places to enjoy great Epirus food, suitable for every wallet. 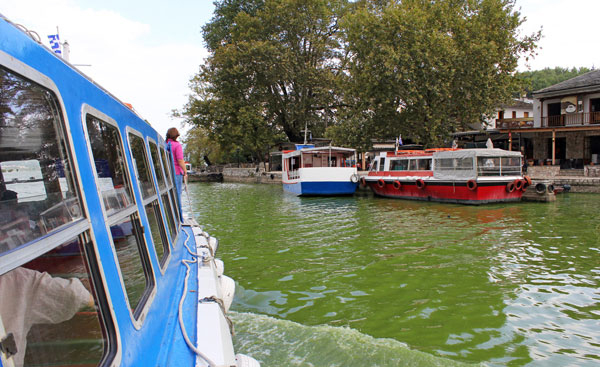 If you want something more special, try the lake’s fried frog legs and fresh eels. 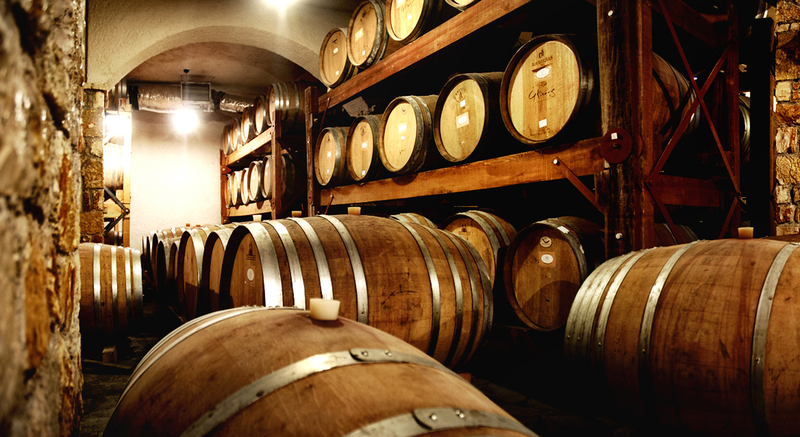 What would a meal be without a special wine? 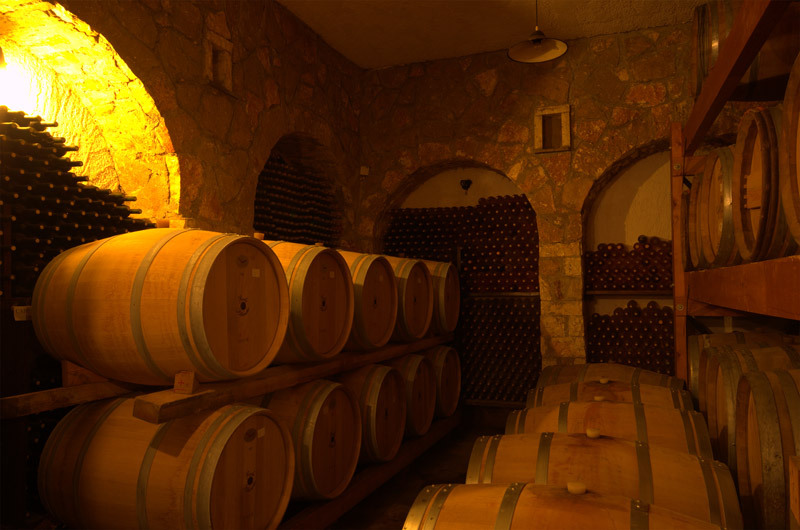 Ioannina produces some of the greatest Greek wines. 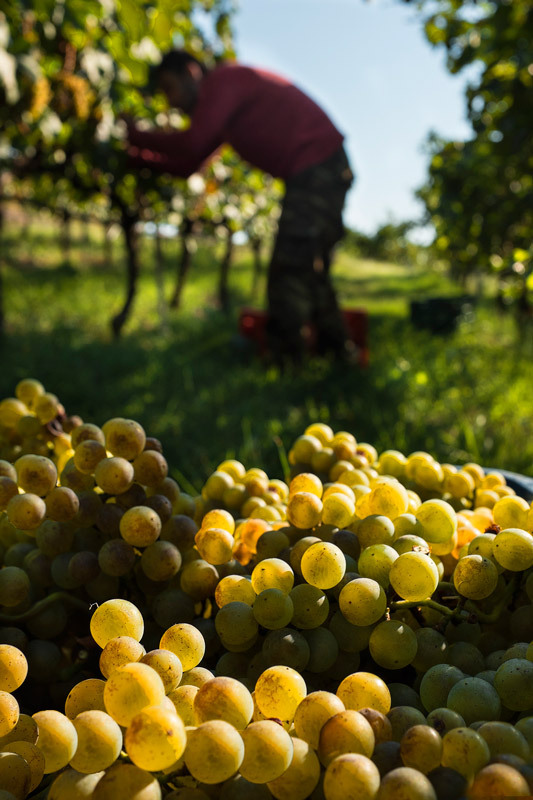 Debina grapes at Zitsa make one of the best white variety wines. 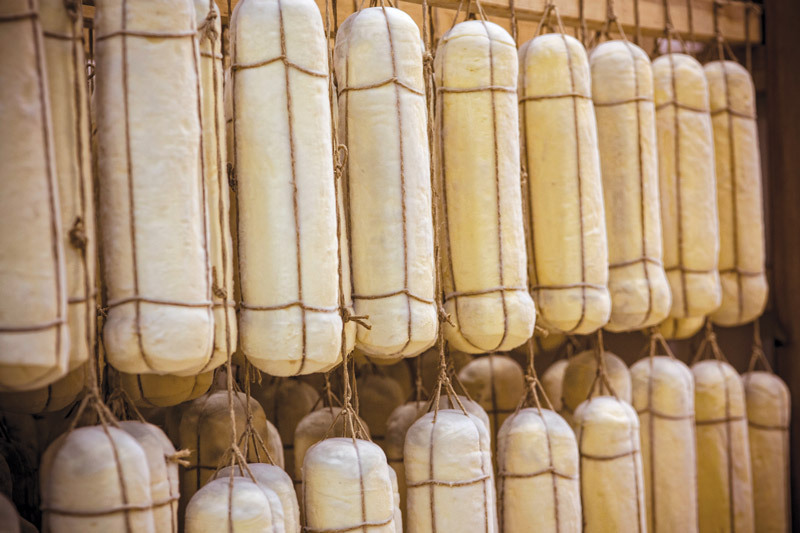 Epirus has a great tradition in making cheese and many of the products are Proteccted Designation of Origin products that means that you can not find products like them nowhere! 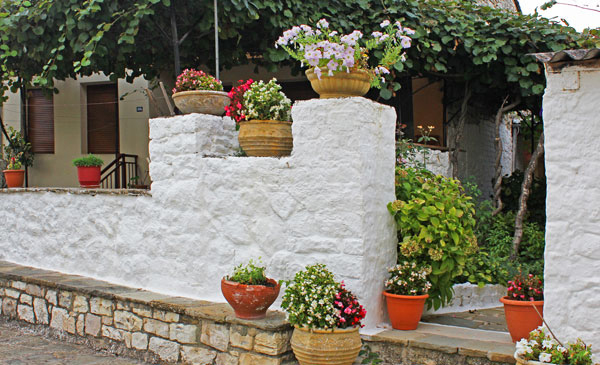 Try the local feta cheese, the semi-hard smoked Metsovone, the delicious anthotiros and the spicy vasilotiri cheese. 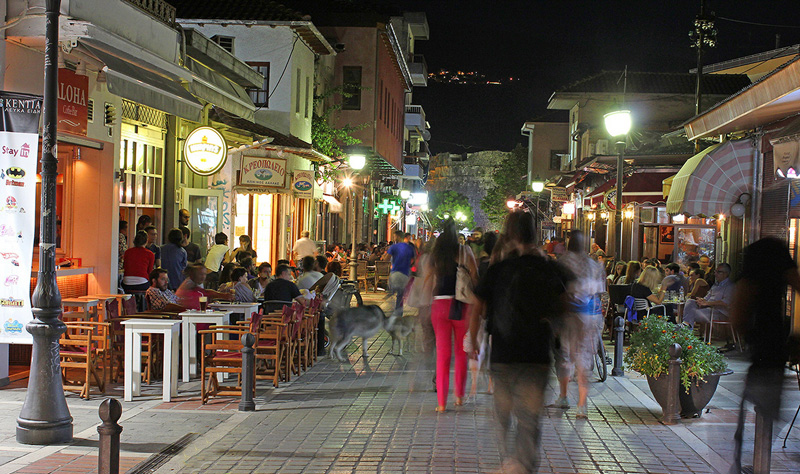 Eating out is one of the great pleasures of life and one of the greatest joys of travel. 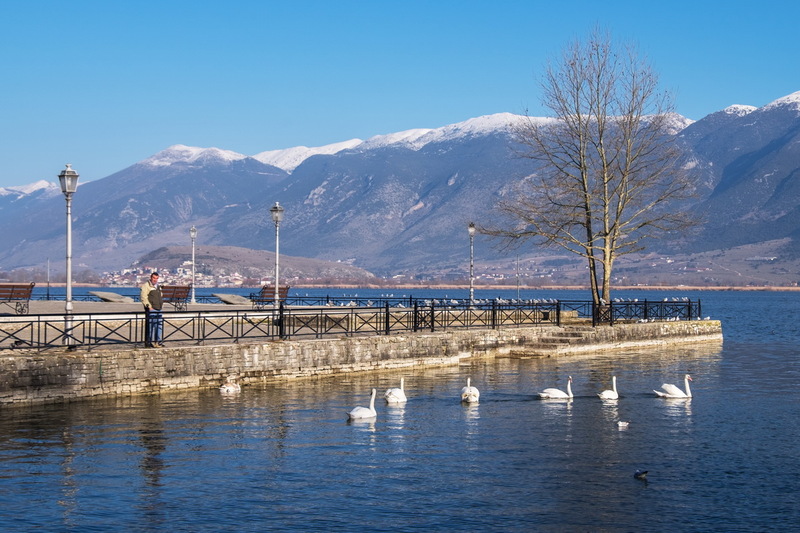 Ioannina is a unique place for food fans with an appetite for genuine Mediterranean cuisine and traditional home cooking. 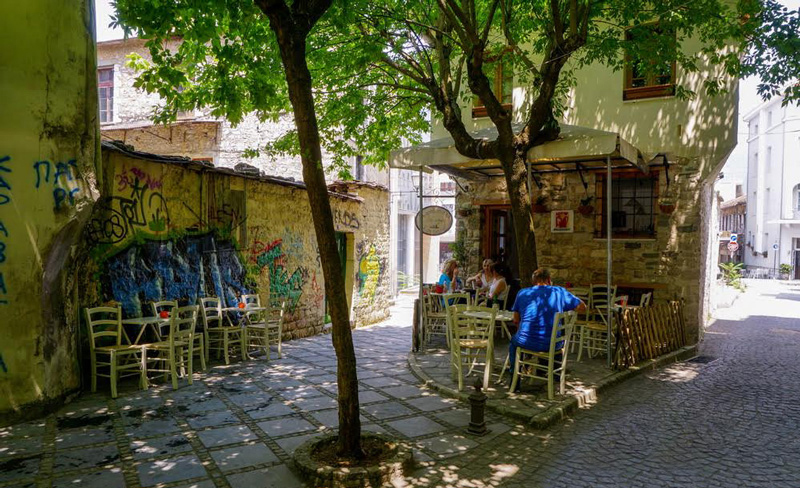 Talented chefs, superb local products, great value are the ingredients of Ioannina Gastronomy, one of the tastiest food scenes in Greece. 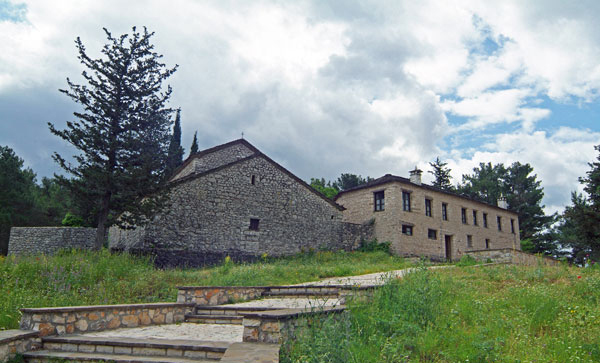 Ioannina produces a small but significant amount of Greece’s total wine production. 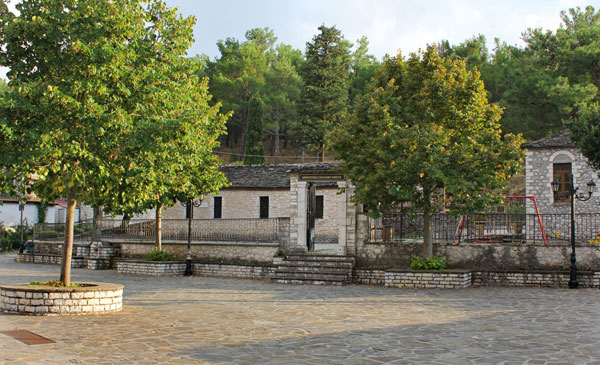 Zitsa and Metsovo have put Ioannina on the winemaking map. 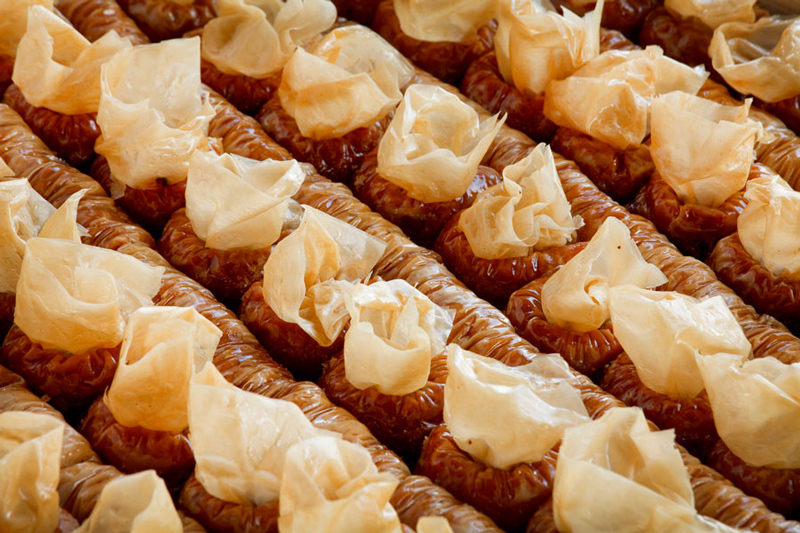 Baklava, the traditional sweet of Ioannina, is famous throughout Greece. 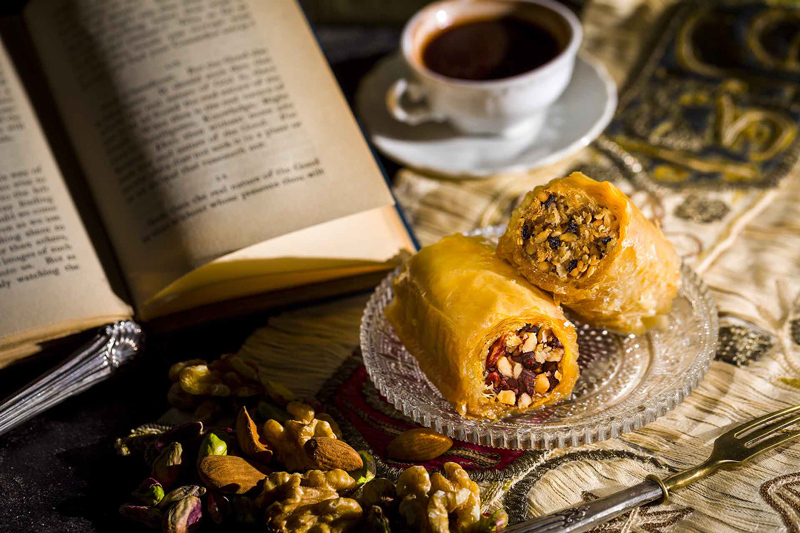 A lightly buttered paper-thin "phyllo" dough is deftly rolled by hand, not too loose-not too tight, layer over layer, to evenly wrap the fillings of the recipes (nuts, spices and dried fruits) and make sure they will bake to a perfect aromatic blend. 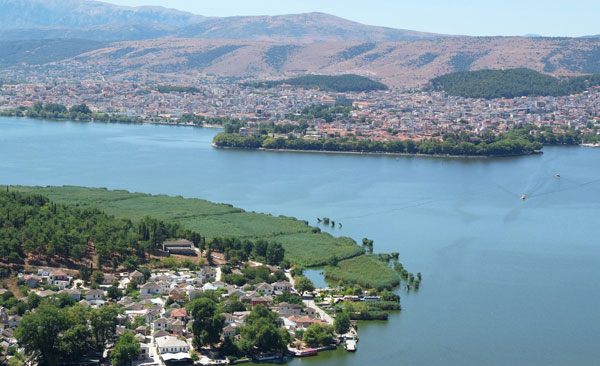 Each bite reminds that Ioannina is the delicious crossroads of Europe and the East, a unique taste experience, combining the past with the future of Ioannina. 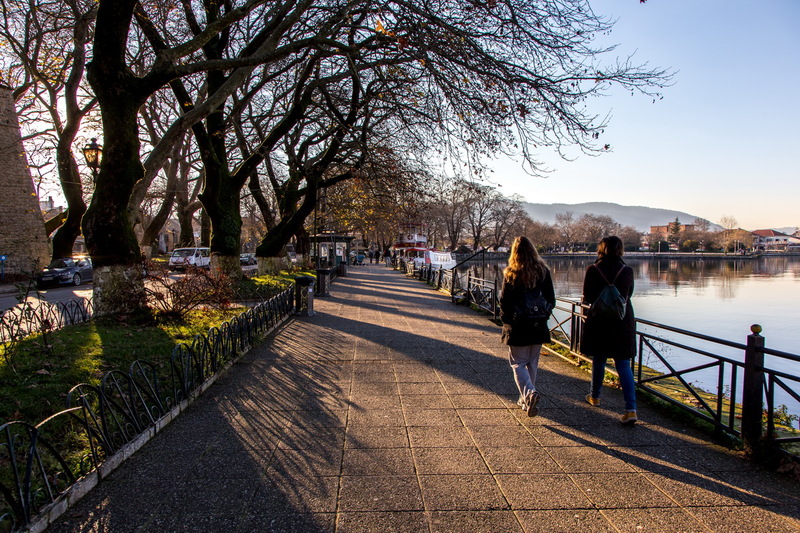 Ioannina University is one of the most attractive univercities in Greece, because studying in Ioannina is a lot of fun. 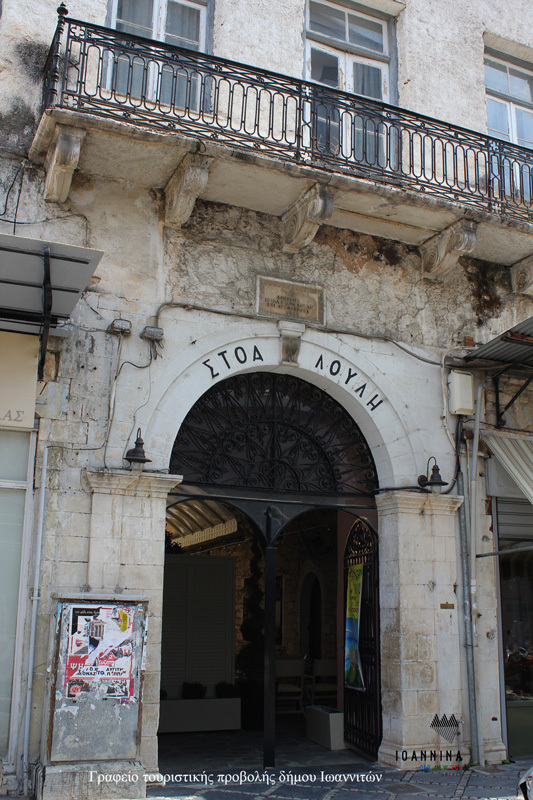 Located in a beautiful, modern European town, the university is simply perfect for students, as everyone who studies there thinks so! 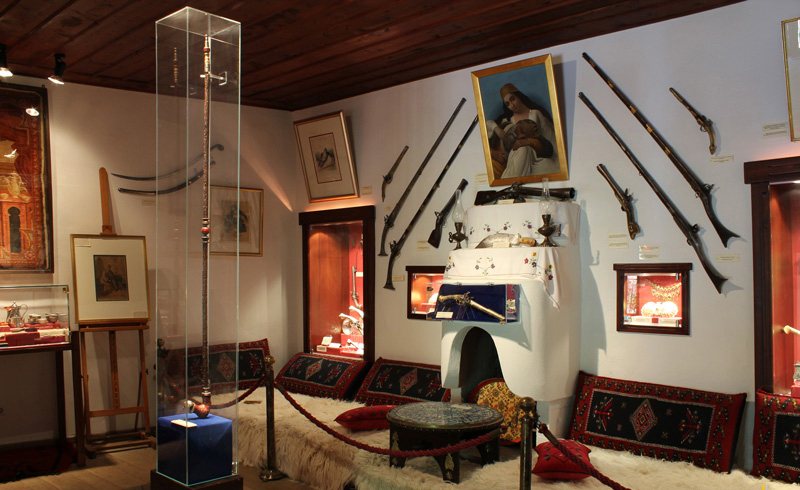 The town is large enough to offer a variety of activities, but small enough to feel like home. The distances are short, so everything is less complicated than in a big city. That's why it's also an ideal place to live.